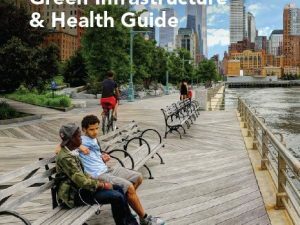 The Oregon Health & Outdoors Initiative website serves as a hub for outdoor recreation and healthcare providers throughout the state, with resources to help educate your friends, coworkers, and community on the important role that nature and conservation play in determining community health outcomes. Did you know that your zip code plays as much a role in determining your health as your genes? Or, that a child suffering from ADHD gets the same improved concentration benefit after a 20-minute walk in the park as they would after a dose of Ritalin? 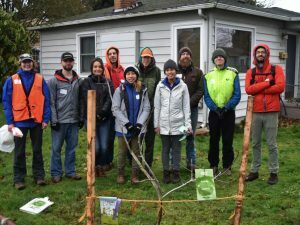 Willamette Partnership has been on the leading edge of connecting the health benefits of being outdoors in recent years; and in 2015, we helped establish the Oregon Health & Outdoors Initiative (the “Initiative”), a network of nonprofits dedicated to improving health equity throughout our state by increasing access to the outdoors. To highlight the work of the Initiative, I’m happy to announce the launch of the Oregon Health & Outdoors Initiative website. This site serves as a hub for outdoor recreation and healthcare providers throughout the state, with resources to help educate your friends, coworkers, and community on the important role that nature and conservation play in determining community health outcomes. It also highlights the work that Willamette Partnership and the Initiative are doing to directly address health disparities throughout our state. For example, Oregonians of color are at higher risk for diabetes, stroke, heart disease, and certain cancers than their white counterparts? 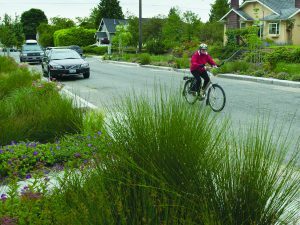 The good news is that time spent outdoors can mitigate those risks and help reduce health inequities. We partnered with LatinXplorers in the Columbia River Gorge to help get more Latinx Oregonians out on the trail to make community-wide impacts on health. More recently, the Initiative is working with Oregon State Parks & Recreation, Adventures Without Limits, and Oregon Spinal Cord Injury Connection to design a set of policy objectives to increase accessibility to parks for people in wheelchairs. To keep on top of what other exciting projects we’re working on, follow us on Instagram (@oregonhealthandoutdoors) and keep an eye on the website. 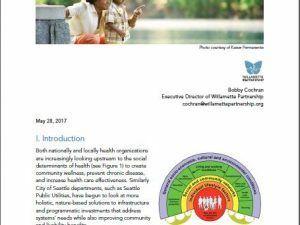 This work wouldn’t be possible without our other network partners, particularly the Oregon Public Health Institute. See you on the web! 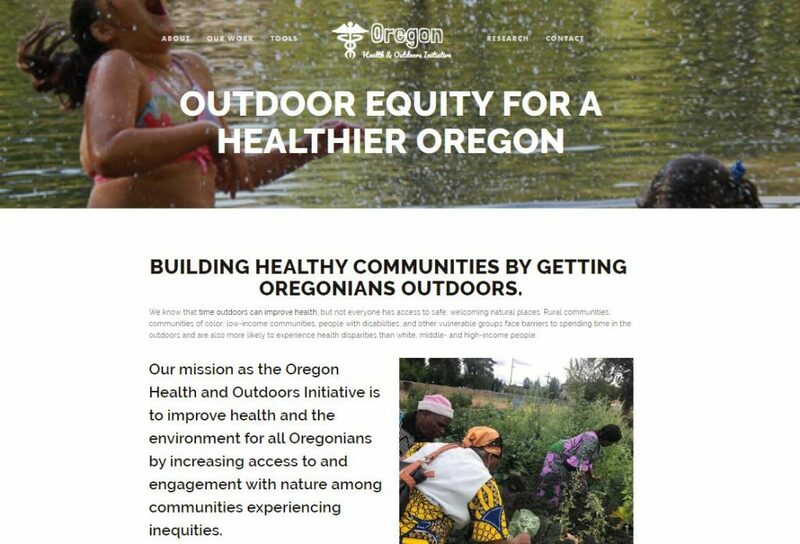 Take me to the Oregon Health & Outdoor Initiative website!